I’ve been trying to get into reading more books involving history lately so when I had the chance to read The Deadliest Echo I jumped on it. It’s an interesting combination of historical fiction with a dash of sci-fi, a whole lot of action, and complex characters. Echo was most interesting to me because at first I’d assumed he’d be . . . not exactly boring, but there’s a certain stereotype that comes with mercenary characters. But Echo is younger than expected and although he is certainly clever and calculating, he’s also lonely. Wiling to do a lot to keep others from realizing this, of course, but when he finally gets himself a friend he’s willing to lose everything to keep that friend safe. And that’s something that I can understand, that makes him human. Action is all over this book, literally from page one. Told with each chapter giving a piece of Echo’s timeline, before and after a major event happens for him, there’s something intense happening in each portion of his life that’ll have you wanted to learn about the past when you’re reading the future and wanting the future when you have the past. 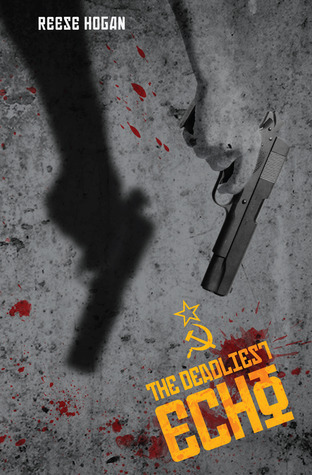 This book was so intense that, yes, one night after finishing a chapter, I actually dreamed that Russian assassins were coming after me. If that doesn’t say something about how entranced and entrenched you’ll be in The Deadliest Echo then I don’t know what would. I feel like this is a novel that can appeal to people who read a plethora of different genres, especially if you’re wanting to get a peek into a different genre to see if you’d enjoy reading it as well. Sci-fi, historical, action, thriller, and even fans of spy novels will all find something unique, captivating, and thought-provoking in The Deadliest Echo.